Break out your best recipe -- it’s time for a potluck! 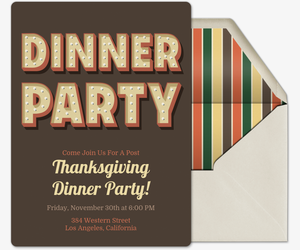 Set your potluck up for success by inviting family and friends with free and Premium invitations from Evite. 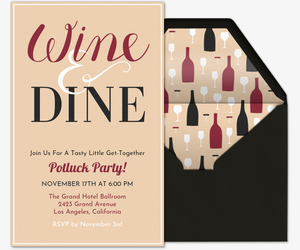 Whether you are planning a potluck dinner party, potluck birthday, or office potluck, our invitation collection has a design fit for your event. 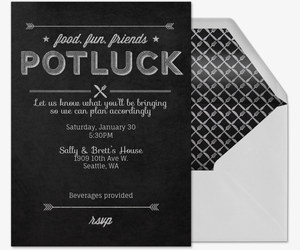 Paperless invitations are ideal for organizing potlucks. Provide a custom host message including all the event details, and create a “What to Bring” list to manage all the meal contributions, from food and drinks to utensils. Plus, with online invitations, you can track RSVPs in real time, manage your guest list, and communicate with guests all through your digital event page. 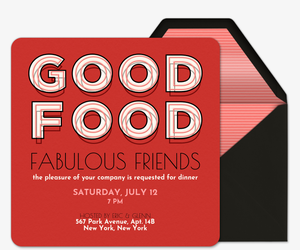 For a standout potluck, try Evite Premium. 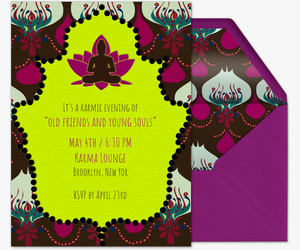 Our Premium invitations are free of advertisements and are packaged with digital envelopes and stamps, so they offer the same look and feel as printed invites. 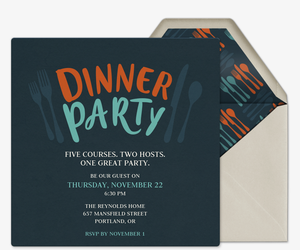 Pricing for Premium invitations is based on the number of guests you invite. 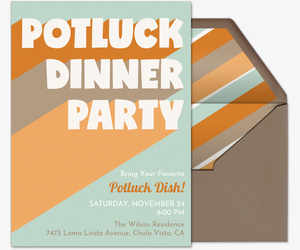 Get top-notch potluck party ideas from Evite Party Ideas. Check out our top potluck recipes, our dinner club guide, or our chili cook-off guide. Got guests with dietary restrictions? Follow our tips for how to accommodate and what to serve. Still searching for the perfect design? 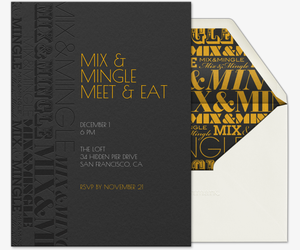 Check out our dinner party invitations, BBQ invitations, cocktail party invitations, holiday party invitations, office holiday invitations, and birthday party invitations.